The following photographs are included for your viewing pleasure and recalling of similar occasions in which you experienced a special dining event. 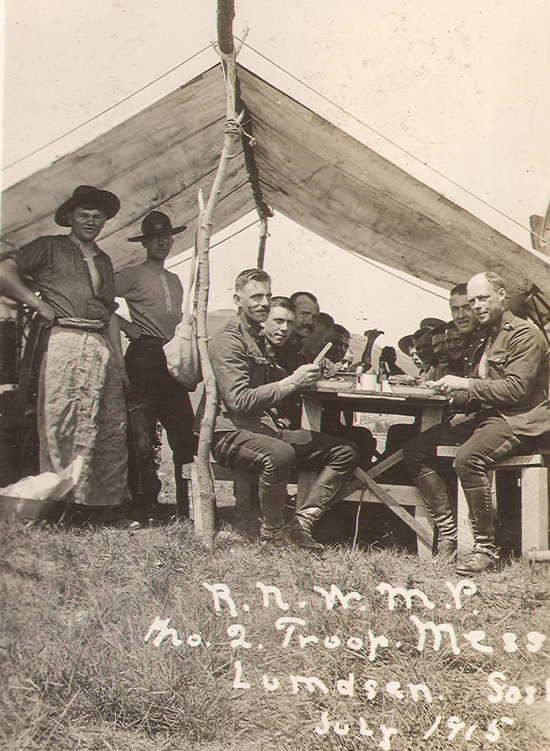 Photograph of early RCMP members participating in a regimental levee at an unknown location. No electric lights in these rooms (Source of photo – Ric Hall’s Photo Collection). 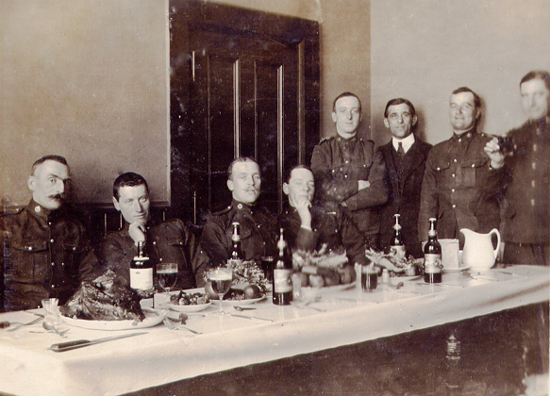 Photographs of members gathered for a regimental levee (Source of photo – Ric Hall’s Photo Collection). 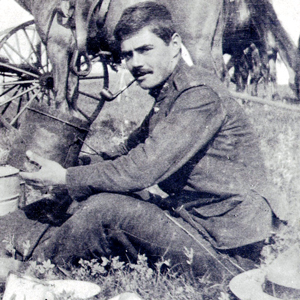 Photograph of a “K” Division regimental levee (Source of photo – Ric Hall’s Photo Collection). 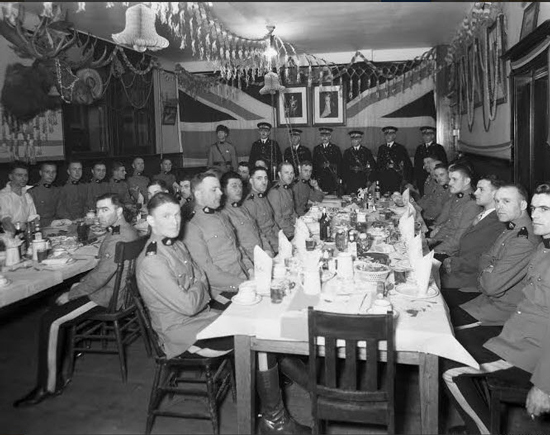 Photograph of RNWMP members participating in a regimental levee (Source of photo – Ric Hall’s Photo Collection). 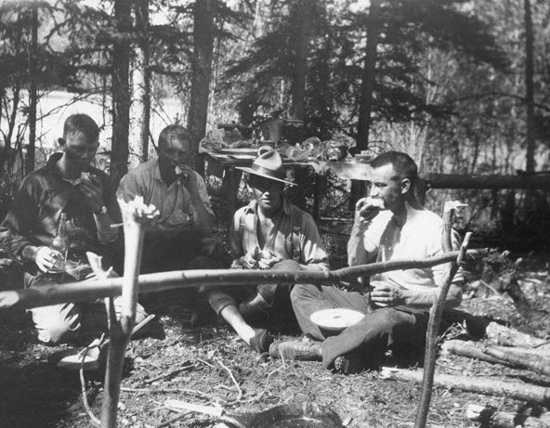 Photograph of RNWMP members having a meal on the trail (Source of photo – Ric Hall’s Photo Collection). 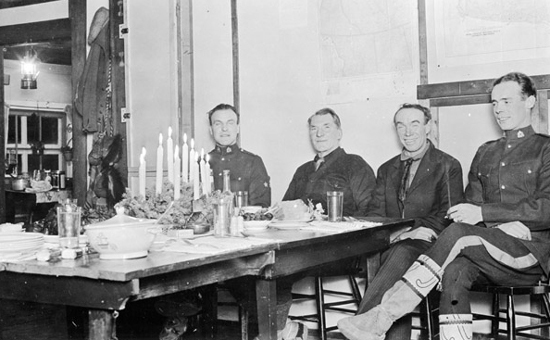 1915 – Photograph of RNWMP enjoying an outdoor meal in Lumdsen Saskatchewan (Source of photo – Ric Hall’s Photo Collection). 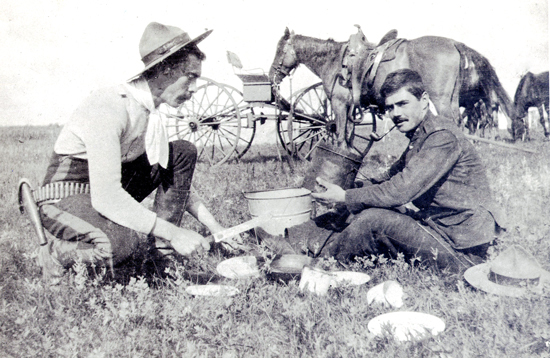 Photograph of RNWMP members on patrol and stopping to enjoy a mid day meal (Source of photo – Ric Hall’s Photo Collection). 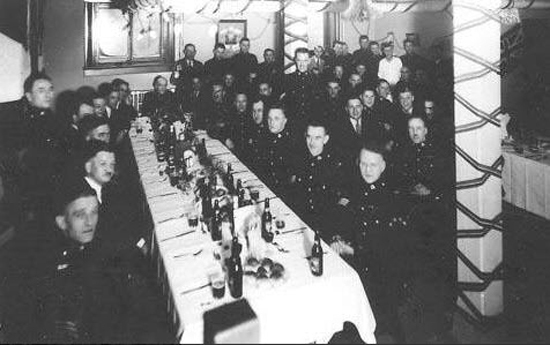 If you have any regimental levee photographs that you would like to see included in a forthcoming photo corner, please email Ric Hall at rshall69@shaw.ca. Photographs will be scanned and originals will be returned to you.